The Central Intelligence Agency will be required to disclose details of a botched and deadly 2017 Navy SEAL raid in Yemen, after a US district court granted the American Civil Liberties Union's Freedom of Information Act (FOIA) request for records outlining the decision-making process and legality of the operation. The CIA is accustomed to deflecting FOIA requests through the “Glomar response”, which asserts that the agency cannot confirm or deny the existence of certain information if its disclosure would compromise operations or sensitive intelligence. A Glomar response is nullified, however, if an official acknowledgement of the existence of such information has already been made. This is precisely what happened when former White House press secretary Sean Spicer repeatedly defended the raid to sceptical reporters, unknowingly handing the ACLU the admission it needed to win a request for records. On 15 March 2017, the ACLU had filed a FOIA request with the CIA and the state, justice and defence departments regarding the authorisation and legal justification for the raid, as well as later assessments of civilian deaths. Out of these four federal agencies, the CIA alone had refused to proceed with the request. Judge Paul Engelmayer of the Southern District of New York ordered last week that the CIA collect files related to the operation's planning, which will be presented to the ACLU within two weeks. During that time, the agency will also need to conceive of a justification for their Glomar response if they plan on withholding other records related to the raid. The operation, carried out just after midnight on 29 January 2017 in southern Yemen's al-Ghayil, was, by all measures, a catastrophic failure. Approximately 30 members of SEAL Team Six descended into the village with the supposed aim of collecting intelligence on al-Qaeda in the Arabian Peninsula, though others assert that the true target of the mission was AQAP leader Qasim al-Raymi. Whether due to a tip-off by locals, or simply because of predictable strategic and topographic disadvantages, the operation was quickly compromised, and the SEAL team became engaged in a shootout with residents of Ghayil and neighbouring villages. Backup was called and airstrikes pummelled the area, destroying homes and any valuable data possibly contained within them. Before retreating, US forces killed around 25 civilians, including 10 children. Chief Petty Officer Ryan Owens died early in the firefight, and two other SEALs were seriously injured. US President Donald Trump deemed it "a highly successful raid that generated large amounts of vital intelligence that will lead to many more victories in the future against our enemy". Days later, in an attempt to demonstrate the administration’s thorough preparation for the raid, Spicer provided reporters with a detailed timeline of the decision-making process and named all those involved. Citing these official statements by Spicer, Engelmayer noted in his ruling: "The court is unprepared to accept that the CIA director attended the meeting with the president in which that raid was discussed and appears to have been approved, but that neither he nor his staff ever generated or received any documentation whatsoever… Were it not for the White House’s public statements about the raid, the interest that the CIA articulates with respect to the raid … would likely justify its Glomar response." In other words, records clearly exist that can shed light on the legality of the raid and its failed execution. This debacle is a rare example of the Trump administration’s recklessness serving the interests of the US public, and possibly leading to more transparency for the country’s use of force abroad. ACLU attorney Brett Max Kaufman told Middle East Eye that it is "encouraging to see a court push back on the government’s unreasonable claims to secrecy", adding he is optimistic that the ruling could set a precedent for future requests for information. The government must be held to what the law requires, and not "use information as a sword and a shield", he said. However, it is unlikely that there will be any legal recourse for the civilian victims of the Ghayil raid, which was Trump's first counterterrorism operation since taking office only nine days earlier. Trump designated Ghayil as an "area of active hostility", reducing protections that were previously afforded to civilians. 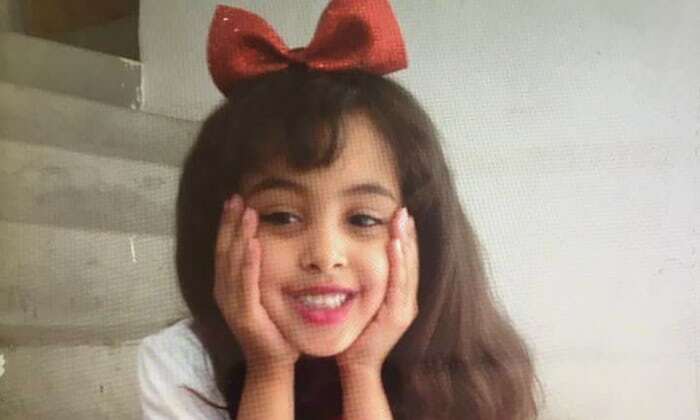 One of the civilians killed that night was eight-year-old US citizen Nawar al-Awlaki, daughter of Yemeni-American al-Qaeda propagandist Anwar al-Awlaki, and sister of Abdulrahman al-Awlaki - a 16-year-old born in Denver who, like his father, was killed by a US drone strike in 2011. One of the earliest critics of the Ghayil operation was Bill Owens, the father of the Navy SEAL killed in the raid. "Don't hide behind my son's death to prevent an investigation," Owens said to the Trump administration while speaking with the Miami Herald shortly after the raid took place. "I want an investigation … The government owes my son an investigation."